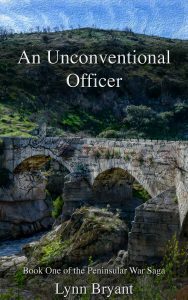 One of my new favourite characters in the Peninsular War Saga, is Lieutenant-General Charles Alten, who took over command of the light division in May 1812, after General Robert Craufurd was killed at the storming of Ciudad Rodrigo. Carl August von Alten, to give him his German name, was from an old Hanoverian family, the second son of Baron Alten, and was first commissioned in the Hanoverian guards in 1781 at the age of sixteen, having previously served the Elector of Hanover as a page when he was twelve. He rose to the rank of captain and fought in the campaigns in the Low Countries in 1793-95, proving particularly effective as a commander of light infantry. In 1803 after the French invasion, the Hanoverian army was disbanded at the convention of Lauenburg and Alten was one of many Hanoverians to leave his country and enrol in the force collecting at Lymington, which became part of the British army as the King’s German Legion. Alten was a lieutenant-colonel by now and as such, took command of the light infantry of the KGL. Alten took part in the Hanoverian expedition of 1805 under Lord Cathcart, and fought under him again in the brief Copenhagen campaign in 1807. 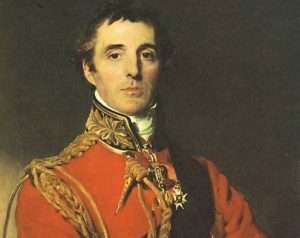 This may have been his first meeting with Sir Arthur Wellesley, who commanded the reserves; certainly Alten fought under him at the only significant battle of the campaign, the battle of Koge, which is also known as the battle of the clogs, and which forms an essential part of the plot of An Unwilling Alliance. Alten next fought under Sir John Moore in Sweden and then Spain, and commanded the second flank brigade during the retreat; the first flank brigade was commanded by Robert Craufurd. Neither fought at Corunna, having taken a different route out of Spain, although both shared in the privations and horrors of the winter retreat. Alten’s next campaign was the disastrous Walcheren expedition in the summer of 1809, after which he returned to the Peninsula and commanded an independent KGL brigade at the bloody battle of Albuera. His conduct and career must have impressed his commander-in-chief, who referred to him as ‘the best of the Hanoverians’ and in May 1812 he was given command of the light division. Alten led Wellington’s elite troops during the battles of Salamanca, Vitoria, the Pyrenees, the Nivelle, the Nive, Orthez and Toulouse. 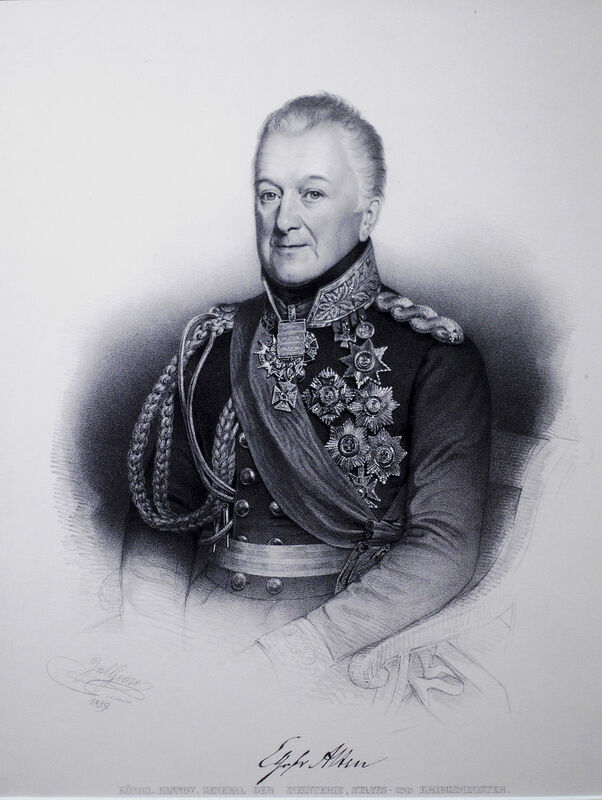 Historian Charles Oman has been harsh in his judgement of Alten’s role in the light division, comparing him unfavourably with Craufurd, as ‘a general of much more pedestrian quality, who might never fail to make an attempt to obey Wellington’s orders to the best of his ability, but could never supplement them by any improvisation of his own, of which he was incapable’. It is probably true that Alten did not share Craufurd’s flashes of sheer brilliance, but neither did he share his reputation for rudeness, belligerence and inability to get on with his officers. Wellington placed his faith firmly in Alten’s ability to command, and the light division retained their reputation as Wellington’s elite troops under his steady leadership. The officers of the light division presented him with a sword of honour as a token of their esteem, something they would probably not have done for Craufurd. In 1815 Alten led Wellington’s third division during the Hundred Days. 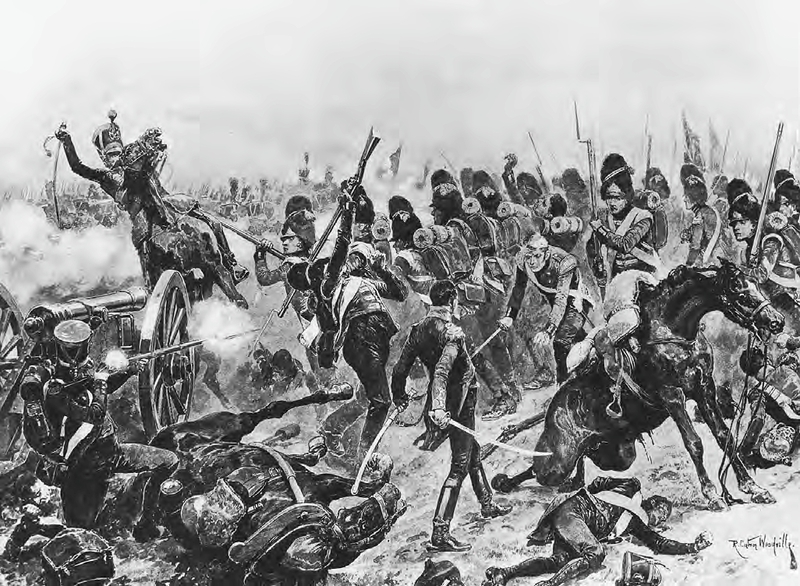 Part of the division was heavily engaged at the Battle of Quatre Bras, and at Waterloo, Alten’s men held the front line throughout the day and suffered appalling losses. Alten was badly wounded and his courage and conduct won him the rank of Count von Alten. The King’s German Legion was disbanded at the end of the war, and Alten took command of the Hanoverian troops in France as part of the Army of Occupation until 1818 when the occupation ended. He returned to Hanover where he became minister of war and foreign affairs and rose to the rank of field marshal. He remained on the British army list as Major-General Sir Charles Alten, GCB. He died in 1840 and is buried in the Neustadter Kirche in Hanover. Writing Alten as a fictional character is an interesting challenge. He arrives to command the light division after the siege of Badajoz and I have a strong suspicion that Lord Wellington greeted his arrival with a massive sigh of relief. After the ups and downs of life with the irascible genius of Robert Craufurd, I think it is is no coincidence that Wellington chose a man who appears to have been noted for his steadiness, amiability and readiness to obey orders to place in charge of his most useful division. Wellington never denied Craufurd’s talent, but I think he was probably permanently on edge, wondering what Craufurd would do next. It was tempting to write Alten as Oman portrays him, a pedestrian general and a safe pair of hands, but as I was trying to find out more about Paul van Daan’s new commander as a person, I discovered a couple of lines in the third volume of Rifle Green in the Peninsula, one of my favourite sources for the actual day to day happenings in the light division, which made me rethink. This little passage gave me a different perspective; mild-mannered Clark Kent was having none of it from General Erskine and wasn’t afraid to say so. 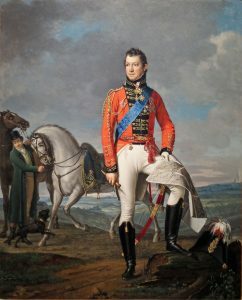 It occurred to me that unlike Craufurd, there are not dozens of accounts describing him, but if actions speak louder than words, Alten’s officers liked and respected him enough to present him with a gift and Wellington thought highly enough of him to entrust him with the light division and then to give him a significant command during the Waterloo campaign. 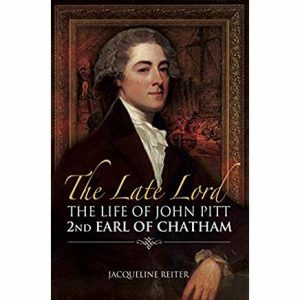 The best of the Hanoverians, it seemed to me, might well have been a very good commander and a likeable man. That is how I have chosen to portray Alten, and I’m looking forward to getting to know him better through the rest of the books. I’d love to find out more about him and I wonder if there is a fabulous German source out there that I know nothing about yet. My Alten is courageous, intelligent and well-mannered, with a willingness to listen to advice and to discuss his plans with his officers. He misses his wife, and enjoys sharing a good bottle of wine with Colonel Barnard and playing chess with Colonel van Daan. What he is not, is boring, pedestrian and weak. I hope my readers enjoy him. 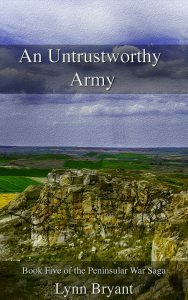 An Untrustworthy Army, Book 5 in the Peninsular War Saga, is due out on 30th November and is available for pre-order on Amazon.